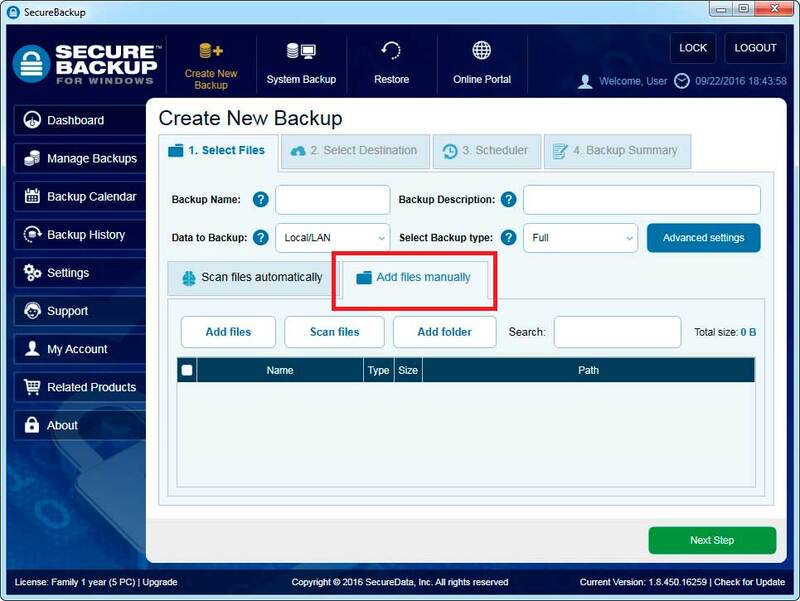 "Create Backup" wizard contains 4 steps: Select files to backup, Select Destination, Set Scheduler, Backup Summary. 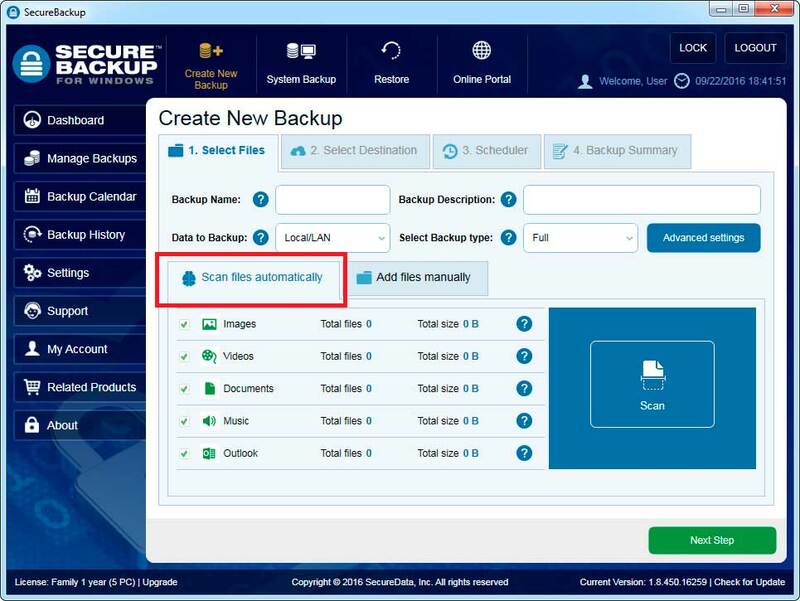 You can scan files automatically by defined common file types, files by selected extension, add files manually or add folders manually. 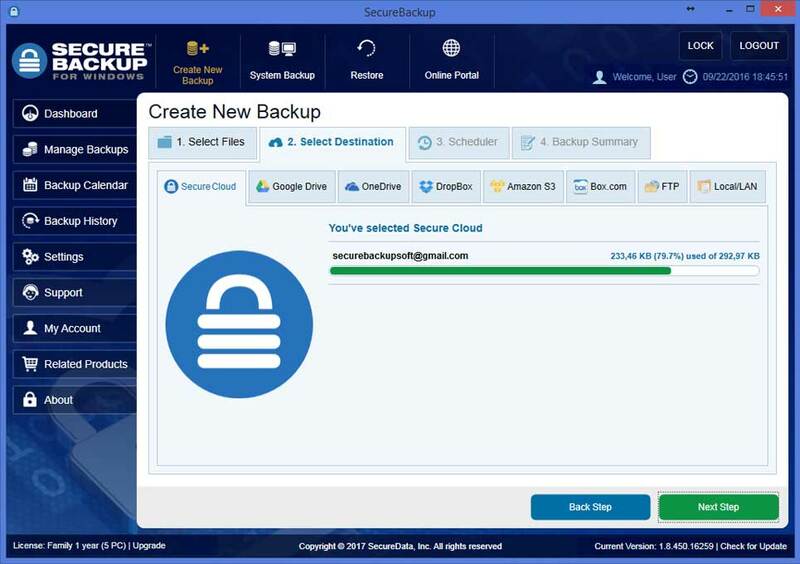 You can backup your data locally, to SecureCloud, to an ftp server connected to your network, or select from popular cloud sharing services: Gdrive, OneDrive, DropBox, Amazon S3, Box.com. 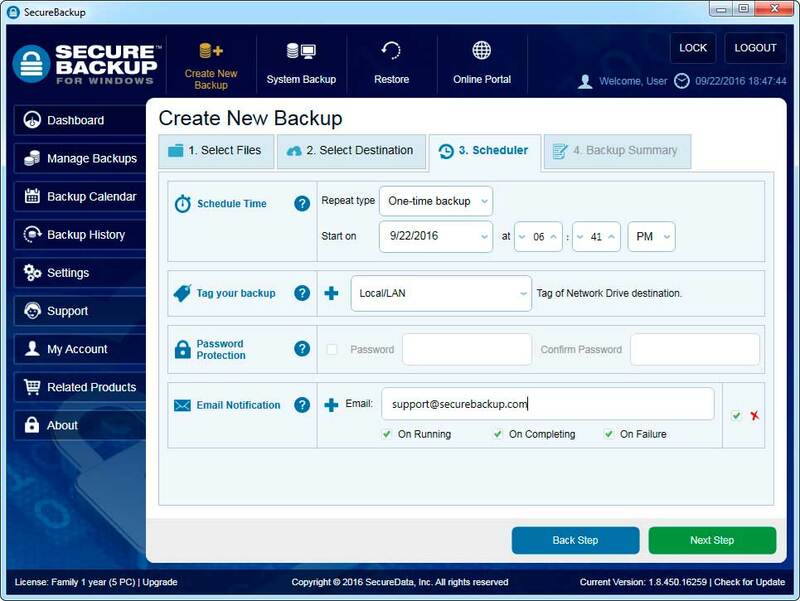 You can configure how to often to run a backup, add tag ,set password and configure notification. 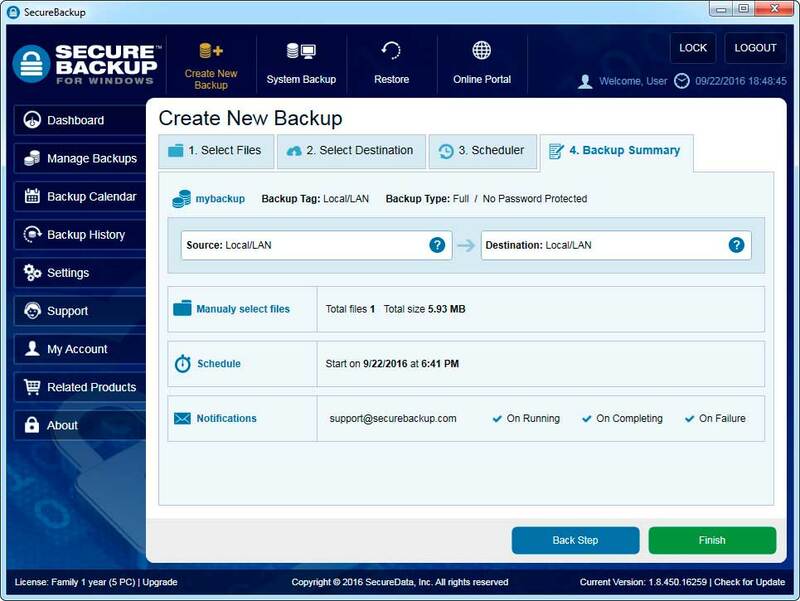 The backup summary provides a full text description of the setup for each backup job which allows you to review information regarding the backup.